Tyersal Is a small estate of approximately 600 houses in the suburbs of Leeds. 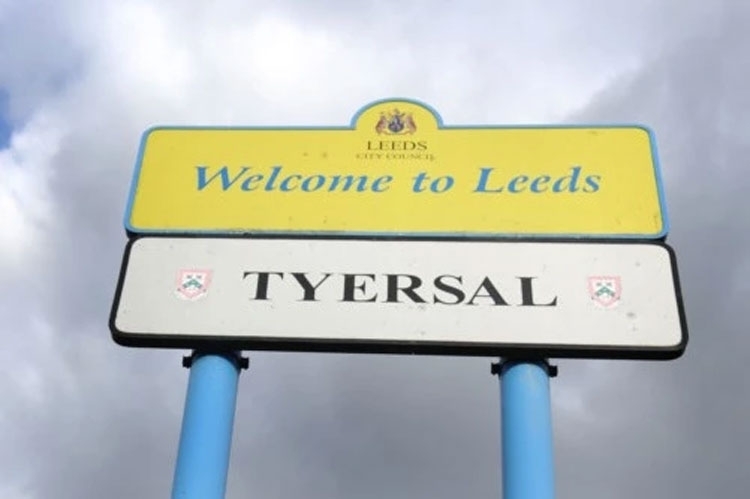 Residents of Tyersal pay their council tax to Leeds and all services are provided by Leeds. It is not in any dispute that Tyersal is in Leeds but unfortunately is blessed with a BD4 postcode and Bradford prefix to its telephone numbers. Because of this house values are reduced and private services such as car and house insurance is increased. Just think how much extra residents have paid over the years. There are horror stories of Tyersal residents been refused basic health care due the confusion of living in Leeds with a Bradford postcode. Instances of Tyersal residents been refused entitlements such as free bus travel when in further education. We are not allowed to use the nearest refuge tip due to Tyersal located in Leeds and the nearest is in Bradford. The post code is dictated by the post office and have been approached many times to change the Tyersal post code but have always refused because the post for Tyersal was sorted in Bradford. This petition is to lobby our local MP / Councillor / Post office with a view to a postcode change. 600 houses so lets have 1200 signatures we can take our local Leeds MP and get Tyersal the postcode it should have. The LS28 Postcode for Tyersal petition to Tyersal Residents was written by Pride in Tyersal and is in the category City & Town Planning at GoPetition.